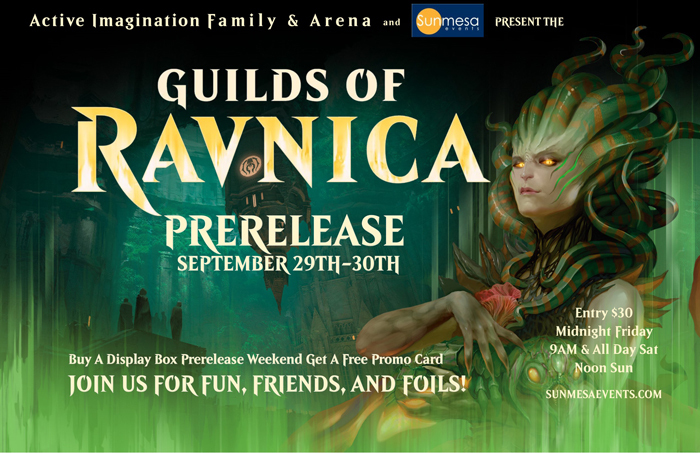 Join us at Active Imagination Family and Arena for Guilds of Ravnica Prerelease. Return to one of the most famous Planes Ever for MTG. 259 cards bust up the formats.